There’s little question that former Facebook executive and venture capitalist Chamath Palihapitiya thoroughly enjoys challenging the way that startups are funded. Because he has the hot hand, so to speak, he’s able to get away with it, too. Last month, for example, Palihapitiya’s firm, Social Capital, took the unusual step of raising $600 million in an IPO for a SPAC called Social Capital Hedosophia. 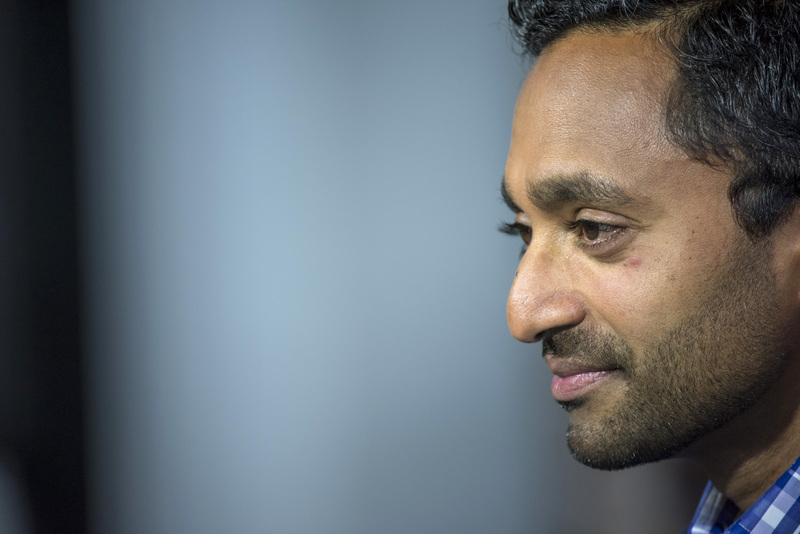 The shell company will use the money to acquire all or part of a privately held tech company, thereby taking it public and circumventing what Palihapitiya sees as the unnecessarily long, expensive and distracting process of going public. Now, Social Capital has another trick up its sleeve. It’s beginning to invest in far-flung startups, sight unseen. How can Social Capital possibly know how to improve a company’s business model when it hasn’t even met its founders? Palihapitiya and Ashley Carroll, the firm’s partner who oversees the program — dubbed “capital-as-a-service” — explain that Social Capital has already built up an enormous database of information over time with the help of its more traditional venture portfolio companies. Its own internal platform team — members of which came from the Facebook Growth team, including Ray Ko, who reported to Palihapitiya at Facebook, and Jonathan Hsu, who helped start the data science practice at Facebook — uses this information to help the firm’s companies figure out their growth strategies. Now Social Capital is simply using this same platform to find and fuel companies in harder-to-reach places. Certainly the founders it has funded through the still-in-beta program think it’s a great initiative, and there have been a few dozen to date. One of them is Vera Makarov, the co-founder of Apli, a 42-person, 15-month-old, Mexico City-based startup that aims to connect workers with flexible job opportunities. Makarov has an undergraduate and business degree from Harvard. She has worked for Bain Capital. She has worked as an investor. She co-founded and was CEO of Carmudi, one of Latin America’s biggest auto classifieds sites. As a result, she says that raising an initial $640,000 from local investors for Apli wasn’t terribly challenging. Things got tougher when the company started seeking out a Series A round, however. Makarov calls her experience with Social Capital “very refreshing” in contrast. “It literally took a phone call, then they asked me to upload a questionnaire and data so they could look at our traction. I didn’t have to fly to San Francisco to meet them. It took less than a month from [the call] to receiving money in the bank.” Specifically, she says, Social Capital participated in a $1.5 million seed round, providing the company with a convertible note. She adds that she sees the firm’s participation as a “stepping stone” to Silicon Valley. Her understanding is that the firm will “continue receiving data from Apli and watching our evolution, and they’ll be contenders to lead our Series A” in exchange for its help. Unsurprisingly, Social Capital’s plan has skeptics. Among them is Ian Sigalow, a New York-based partner and co-founder of Greycroft Partners, who doesn’t put too much stock in sheer data analytics. It isn’t clear that Palihapitiya’s co-founders at Social Capital approve of Palihapitiya’s thinking, either. Co-founder Mamoon Hamid left last month to join Kleiner Perkins Caufield & Byers. A third co-founder, Ted Maidenberg, also plans to leave the firm before it raises its next fund. There’ve also been grumblings by some of the firm’s investors, who worry that Palihapitiya may just innovate his way into trouble. Social Capital, which is just six years old, now manages more than $2.5 billion worth of assets and has reportedly deployed two-thirds of its third, $600 million, early-stage fund, which it closed in 2015. Because of its age, many of its companies remain in “scale mode,” says the firm, though its exits include the enterprise companies Yammer, sold to Microsoft for $1.2 billion in 2012, and Box, which went public in 2015. “What you saw, to be blunt and honest,” continues Palihapitiya, “was the migration of very traditional LPs that we admitted, and as much as their realization about how this industry needs to change, them going through the seven stages of grief concerning the traditional model breaking, which has to do with a bunch of historical decisions they’ve made. Certainly, Social Capital has some support by VCs who also see the winds changing. Among them is Matt Turck, a managing director at FirstMark Capital in New York, who has long been intrigued by data-driven venture firms. Turck thinks Silicon Valley especially needs to start thinking differently, and fast. The way he sees it, there’s a “tremendous amount of money in the system, making everything incredibly expensive, from salaries to the cost of living. Companies like Google are being increasingly aggressive around all the different areas that people see as impacting the future, like artificial intelligence.” That makes it hard to grow a small AI business into a big independent company. Another trend that’s “super interesting if fairly obvious by now,” says Turck, is the globalization of entrepreneurship.